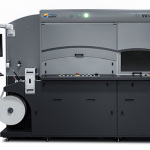 The printing industry is rapidly evolving as the market is changing from long runs and inventoried products to more personalized short runs with demands for quick turnaround times. Digital Printing can provide the best solution for these new market requirements. By incorporating inline laser cutting with digital printing, Spartanics will help your production line achieve a true lean manufacturing solution with minimal waste. 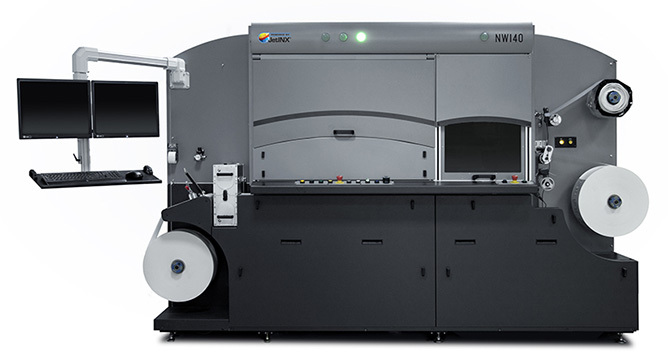 Digital printing is an alternative to traditional methods, such as: lithography flexography, gravure, letter press, etc. Instead of creating expensive plates for one time jobs, digital printing uses vector image files from your computer that are directly imported into the digital printing machine. The system is then able to analyze colors and disperse ink where deemed applicable by the digital printing software. 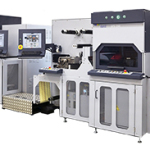 Depending on your production line needs and the capabilities of the digital printing system manufacturer, there is an abundance of finishing options that can be customized and installed in-line with your digital printing system. Spartanics has been in business for 50+ years. We pride ourselves in providing our clients the most advanced technology available to make their productions lines run as smoothly as possible. Our state-of-the art engineering and software enable us to provide you with a high quality product at a low initial investment; customizable for the growing needs and demands of your particular application.